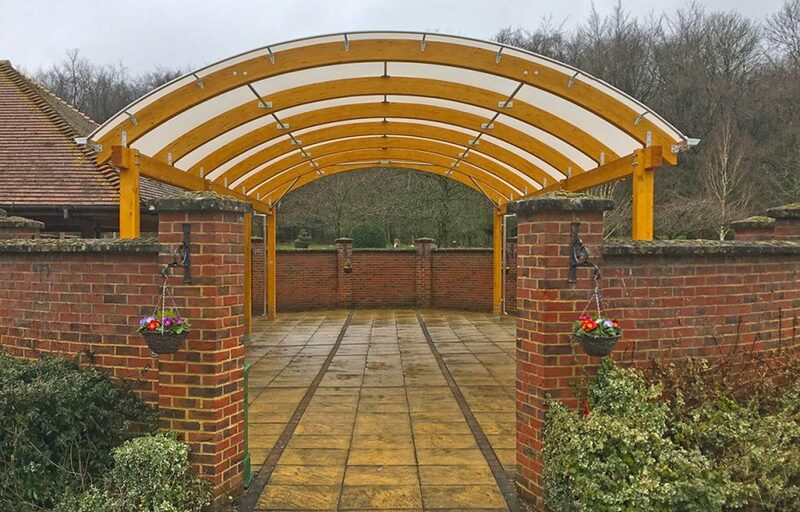 Fordingbridge designed and installed a barrel-vaulted timber canopy to provide cover for those wishing to pay their respects and lay floral tributes. 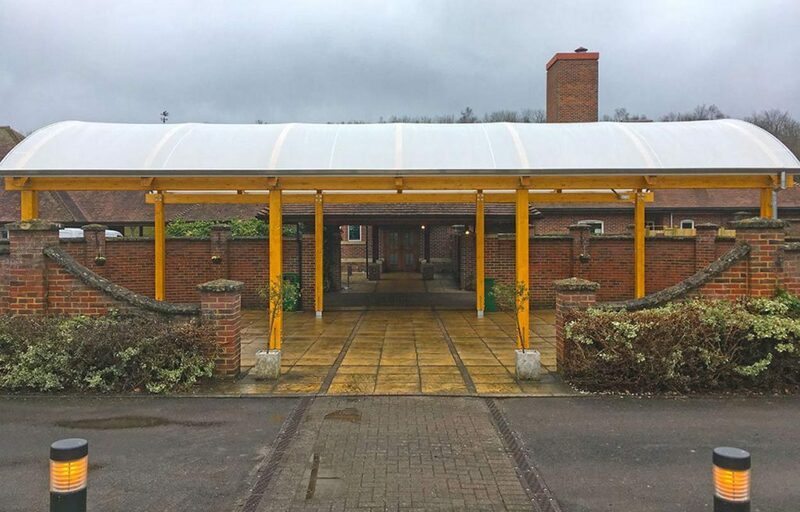 The crematorium wants to offer optimum customer service by providing a weather protected space for relatives and friends to spend time and not be hindered by the weather. The Opal60 roof covering, exclusively available from Fordingbridge, allows the sunlight through while filtering the harmful UV rays. This gives the perfect environment on a day with direct sunlight. The mill finish aluminium gutters and rainwater down pipes come as standard on all Fordingbridge canopies. Fordingbridge take the project from concept to completion. 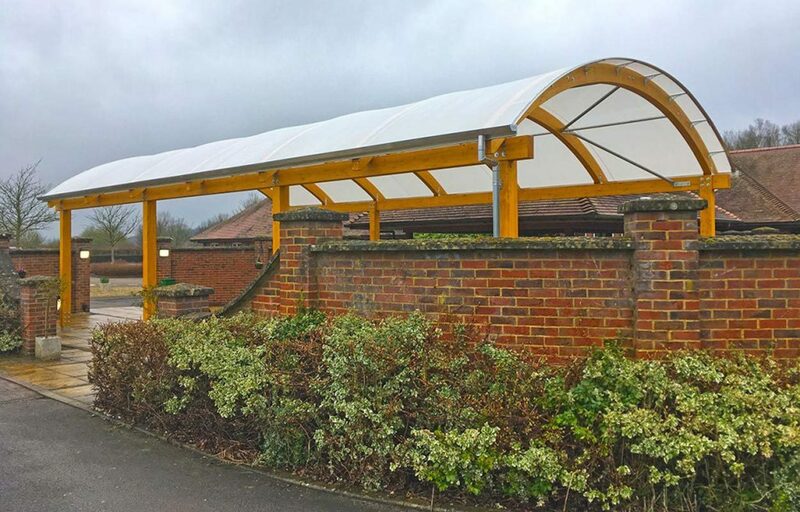 The foundations and Building Control were dealt with by Fordingbridge, providing the client with a turnkey solution.